This guide is intended to help students find online access to scholarly commentaries on every book of the New Testament. These guides will vary in academic "rigor" ranging from purely academic to pastoral in nature. The idea is to give students a broad range so that they can choose what best suits their needs for a given situation; whether it be for an academic exegesis paper or to help write a sermon. Please remember that these are not all the commentaries available; these are just suggestions. Unfortunately not all publishers have made all of their works available digitally (most notably the Anchor Bible Commentary Series). There might also be excellent commentaries that are not on these lists; to find out everything that the DTL has on a certain book use the search above to find books in the catalog. These books, as the title suggests, are more general in focus, in that they are usually a single volume with chapters for each of the books of the New Testament. Because of this, they are more introductory in nature but are still useful. Christian interpretation of the Bible is not a simple task. While finding both its beginning and end in the theological claim that Scripture reveals to us “what God has done in Christ,” Christian interpretation demands much more. The interaction between believer and text is also conversation between reader and interpretive community, both ancient and modern. Theological interpretation entails close readings of texts but also a close analysis of contexts—the social and political shape of the Mediterranean world as well as our own. Interpretation requires the interweaving of theology, history, and literature. In Introduction to the New Testament Carl R. Holladay does just that. He roots each of the New Testament’s twenty-seven writings in their historical, literary, and theological contexts. A true “Reference Edition,” Holladay provides thorough, detailed, and exacting overviews, background material, and textual analysis. Holladay leads readers to consider questions of canon, authority, and genre that shape the formation of the text and the text’s formation of the identity, theology, and mission of the church today. This Introduction does not leave its readers stranded in the first century; it also intentionally connects the message of the New Testament to the issues facing its faithful readers today. 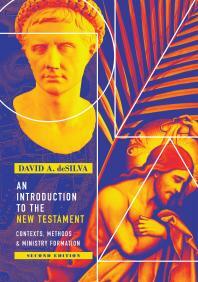 No stone goes unturned and no issue unexamined—Holladay’s Introduction to the New Testament is an essential text for any serious student of biblical interpretation. The first volume goes through the historical background of the world in which the New Testament was formed while the second volume discuss the New Testament literature proper. Although these are a little more dated than some of the others on this list, they are considered the standard introduction to the New Testament resources in many New Testament programs. New Testament Commentaries LibGuide by Christopher Crawford is licensed under a Creative Commons Attribution-NonCommercial-NoDerivatives 4.0 International License.